Assumed so, but not specified in the original post. I think this Dave and Buster's thing is a hoax. There in nothing on their website showing Stillwater as coming soon. There is also nothing on the city website from development services that issues permits for building. I think so, too. 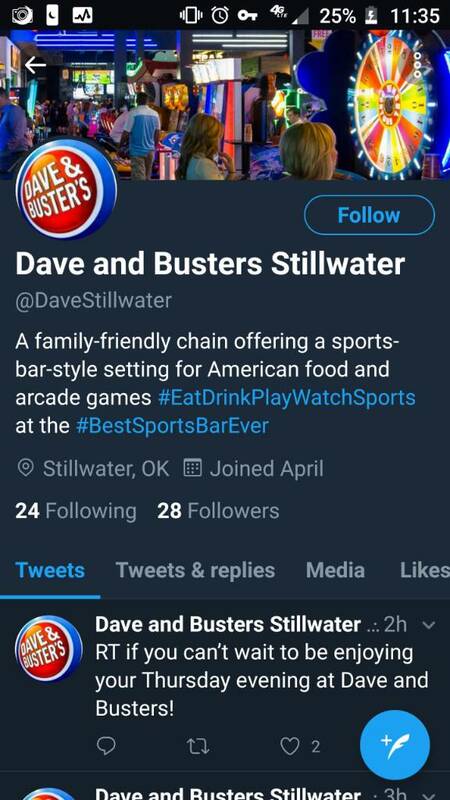 If Norman can't have a Dave and Buster's, then neither can Stillwater. Honestly Norman doesn't need one because there's already several competitors in the arcade and entertainment arena it would just be another high-priced burger joint with too much competition. But I honestly think it would be good for Stillwater to have something like this either one of the pizza joints that has arcades and things or a Dave & buster something like this that would at least have more appeal for families.